Patty is a retired nurse and mother of three grown children and three grandchildren. She grew up in San Diego, and lives in Pasadena. She likes to hike, bird-watch, travel and read. She is presently completing a healthy house project on her home to eliminate toxic chemicals and mold. What particularly started my opposition to the status quo was my reaction to my father, who was a ferocious racist from Texas and had been in the navy all his life. When I was growing up, he abused my mom, my brother and me. I empathized with the victims of my dad’s wrath. I remember my dad going “Huh!” with disdain in his voice whenever a person of color was mentioned. My grandmother did the same thing. Phrases like “Those damn wetbacks!” were common around our house. When I was in third grade, we sailed to Hawaii on my dad’s navy cargo ship. 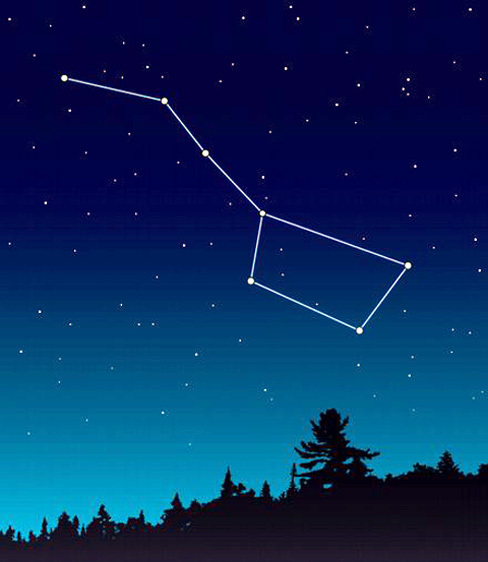 It took seven days to get there and seven to return. We stayed in Hawaii three months and went to school there. This was in the late ‘50s. It gave me the experience of being around Asians. In junior high school my good friend had straight black hair and brown skin. When I brought her home one day, my dad asked, “Who’s that girl?” She was standing right there listening to this. “You can’t bring her into this house ever again,” he said. “She can stay now but that’s it.” Dumbfounded, I asked my mom why he didn’t like her. “Because she’s Mexican,” my mom explained. Eventually the girl moved away but years later while watching the San Francisco Mime Troup in Los Angeles, I met her again. She was working with the Troup and remembered me. My high school was newly built to ensure that white kids didn’t have to go to a black school. One black kid lived on the “wrong” side of the line and ended up at my school but was told she would have to leave. We students gave her a lot of support, even electing her as student body president. As a result she didn’t get thrown out after all. In 1965 I finished high school and started college at California Western University, a Methodist college at Point Loma near San Diego. (The college no longer exists.) The Methodist Church had a history of not allowing dancing. I joined a college church dance group. We were rebellious and wanted cultural change, in line with the rest of the movements of the ‘60s. We preformed modern interpretive dance to sacred music that included comments about the Vietnam War, the Civil Rights Movement, the United Farm Workers strikes, and the inhumanity of poverty. We toured the state and surprised the Methodists because we preformed right by the altar in the church. Another influence was my mom, who was supportive of women’s equality. She was sympathetic to feminists (which enraged my dad). My mother had been accepted as a student at Berkeley, but because of the Depression hadn’t been able to attend. She praised my great aunt, who was a math professor there—highly unusual for a woman at the time. With a group of Methodist students at college I continued my activism. Then I quit school and hung out with Methodist students at San Diego State College. We began working with Students for a Democratic Society (SDS). Having come from a working class family, I was becoming aware of the power of the workers when they united and withheld their labor. I saw the influence workers could wield on government policies on war, poverty, and racism. I loved music and sang protest songs. I remember “Follow the Drinking Gourd” about the Underground Railroad. Some of us SDS folks formed a nationwide sub-group called Workers for a Democratic Society. There had been some animosity between activist students and workers who didn’t understand that the war was not in their interest. Our outlook broadened from organizing just students to organizing the rest of the working class as well. I got a factory job at Ratner’s in San Diego making men’s suits. Our goal was to meet workers and talk to them about their issues and about the war. My job at Ratner’s was to match a bag of suits and a bag of sleeves so they could be sewn together. It was piece work. Each suit got a ticket which showed how many suits you’d sewn and assembled that day. If the number wasn’t high enough, you’d be reprimanded and made to take long breaks off the clock and then work overtime when supplies came in. For 35 hours they had to pay us minimum wage. There were fibers in the air. One woman got her finger caught in a sewing machine. Once someone opened one of the sewing machines and found a thumb inside. There were three women in my work area. One spoke only Spanish and the other mainly French. We were all the same age. The Mexican woman lived in Tijuana. I was learning some Spanish from her. We had just turned 21 so we went out to bars, shared our lives, and talked about the war. When I came to Los Angeles to get more politically involved, my first job was at Harvey Aluminum. 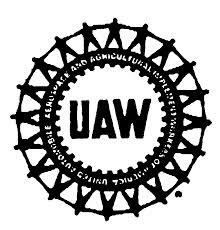 It was a large shop, organized by the UAW. They processed aluminum heads for bombs directed for deployment by the U.S. Army in Vietnam. I remember that once our multiracial group of women workers refused to process these war products. I was so impressed with them, it confirmed to me that workers felt as we did. 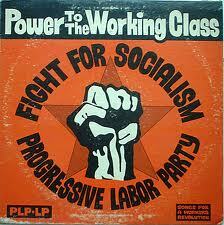 In 1969 I joined the Progressive Labor Party (PLP), a group that had broken off from the Communist Party USA. The PLP read Chinese Communist as well as Soviet literature. It organized factory workers within SDS for Workers for a Democratic Society, and I became dedicated to that work. When I was laid off by Harvey Aluminum, I found a non-union job in electronics and learned to solder computer boards for airplane radios in South Los Angeles. I took some classes at the local high school in reading diodes, and I met a man there, whom I later married. Some of the other students moved on to a nursing attendant class, so I went too, again getting to know more working people. This is where I discovered that I loved working in the intensive care unit. We were assigned by PLP to work in Long Beach, California. There we sold our newspaper Challenge to navy sailors. We met and made friends with them, talking about the war, their draft experiences, racism on board the ships, and the need for a communist society. Recently I heard that our work was mentioned in a book by a sailor who wrote about his decision to become active against the war. About that time my husband and I had a baby, and when she was three weeks old and I was out of town at my brother’s wedding, he unexpectedly packed up and left. He hadn’t agreed with some of my politics so maybe he was overwhelmed by my activities. Or perhaps I was too insistent on his helping with the housework. At any rate, he disappeared completely, and to this day I’ve heard no word from him. I collected Aid to Families with Dependent Children (welfare) to support my child and me. Along with other mothers I organized sit-ins at the welfare office when recipients weren’t getting their checks on time or were denied welfare, food stamps or Medi-Cal. We were fighting for our checks and our rights as well as the needs of other welfare recipients. When one person didn’t get her check, then we’d have a sit-in at the welfare office with our babies and diapers until she got her check. We took women with us to demonstrations and meetings, we made friends, and we canvassed the poor housing complexes in order to grow the group. We discussed PLP’s place in the struggle, and communism as an answer to unemployment. We became well known, with many new faces later becoming active in welfare struggles, although they didn’t join the PLP. A group of us fought to get admitted into the Work Incentive Program (WIN), which would pay for our education. Many of the women were on welfare. When I told them about WIN, they started to cry; they had never thought they would actually be able to go to school. During a day-long sit-in on the floor of the unemployment bureau with our babies, a man told us we had to do “whatever possible” to get enough money to support ourselves. When we asked him if he meant walking the streets, he said, Yes, if necessary. 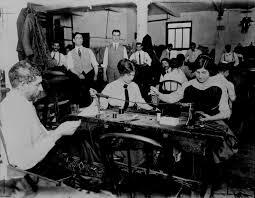 The problem was that only men were considered for education classes to support their families; women weren’t admitted. but we were a multi-racial group and succeeded through our militancy in getting into nursing school and other WIN programs. I loved nursing and became an LVN. I remember one incident when I was assigned to the communicable disease admitting area. By 11 p.m. we usually closed up the place. A doctor from an upscale hospital was working at White Memorial Hospital to learn about communicable disease. About 3 p.m. a man in jeans and an English sports jacket came in. He’d been bitten by an animal and wanted to know if he had rabies. I was only an LVN so couldn’t give IVs. I asked him what bit him. I didn’t speak Spanish but it sounded like he said a possum. The doctor went to the library to find out if possums ate meat. She came back fuming—it wasn’t in the books. 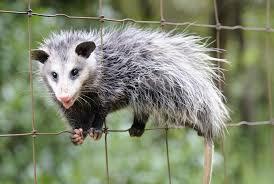 After talking to her, I found out that she was looking up “possum” instead of opossum. By now it was 6 p.m. They do eat meat but we didn’t know what had happened to the animal. The man’s brother had banged it against a tree and thrown it over a fence. His mother wouldn’t put in in the refrigerator. The doctor finally convinced him to take our possum. We asked if he could pick it up. NO, we needed to pick it up and bring it in. The doctor called another pound and got the same answer. By this time I was trying hard to suppress my laughter. At L.A. County General Hospital I joined with other PLP workers. My special problem, though, was that I would try to read the PLP newspaper cover to cover and feel unable to finish articles or read other literature. I would quickly forget what I had read. It turned out that I was allergic to the chemicals in newsprint. The allergy caused a sort of amnesia in me. Because I couldn’t study a lot of the theory of the party, I couldn’t discuss deeper theoretical problems in order to develop party proposals. But I did have influence on issues like welfare, medicine’s role in a profit system, and workers’ problems. 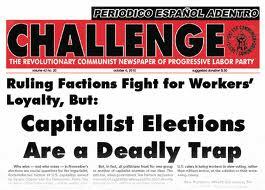 We sold the communist newspaper weekly on our outings, and I was often the top seller. I married a leader of the group. We raised three beautiful children. I later became an RN and organized workers until retirement. I sometimes think back to a talk with my mom when I planned to distribute leaflets about voting in the African-American streets of San Diego; she was so worried. I reminded her that I would soon be 18, and that I would be doing this the rest of my life. I was right.